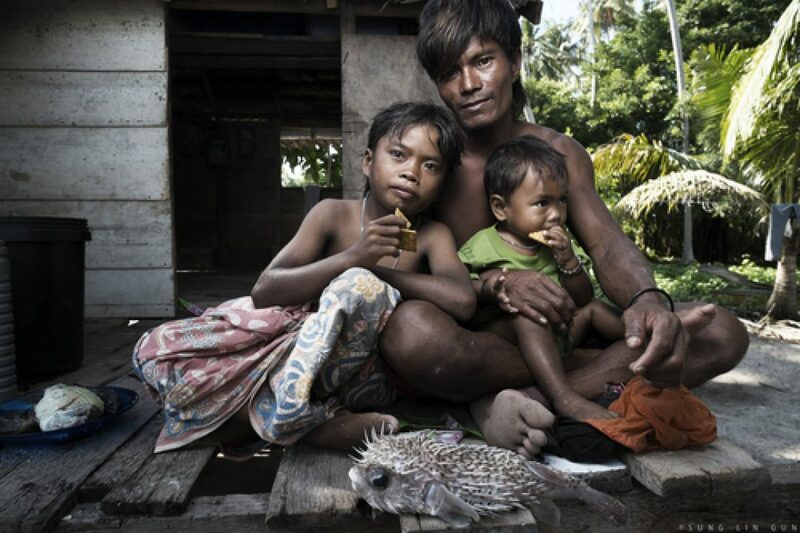 The orang laut (literally sea people in the Malay language) are nomadic tribes who live all around the east coast of Borneo, straddling Philippines, Malaysia and Indonesia. Some fare better than others, some have gone ashore and assimilated into land-life. But this group that I met have no nationality, and thus for better or for worse, have to live at sea their whole lives, on boats or on stilt houses around small islands. No running water, no electricity. These set are taken on Miaka island. It’s one of the nicer looking islands, with actual fruit-bearing coconut trees. There was a nice shady area where kids went to escape the punishing midday sun. So I took the opportunity to make friends and take a few portraits…….